outer diameters. Ships fully assembled. 5. 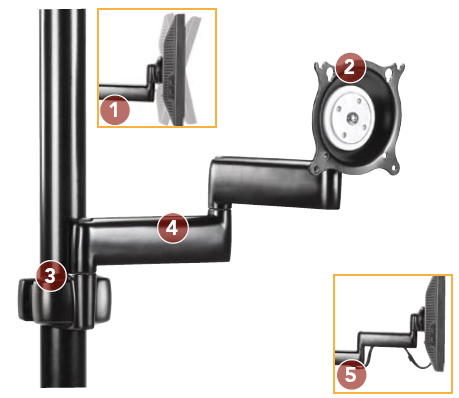 Cable Management: Easily route cables through predefined pathway inside arms. 6. Portrait and landscape rotation and side-to-side pivot. 7. Friction-adjustable pivot points for customized movement. 8. 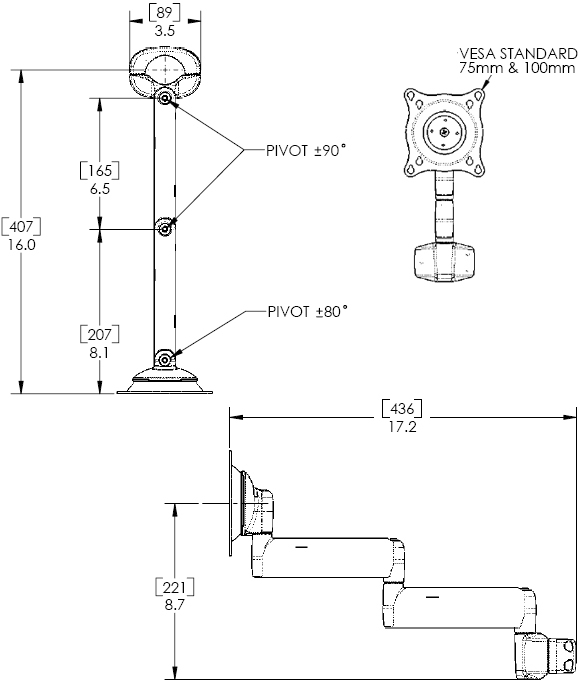 VESA 75 x 75 mm and 100 x 100 mm compatible. 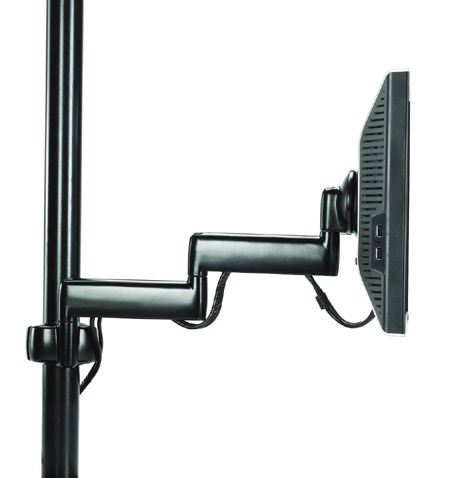 The KPD110 easily attaches small flat panel TVs, LCDs and monitors to poles and allows viewing from multiple angles.